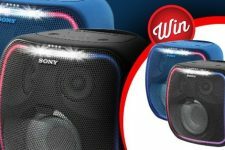 Budget Direct and JB Hi-FI are cooperating and offering an interesting giveaway in which you can win a $5000 gift card to spend on different JB Hi-Fi products. Isn’t that amazing? Don’t miss out on this opportunity and go enter now!